The Advil® Sinus Congestion & Pain product, information and gift have been provided by Pfizer Consumer Healthcare. We’ve all had a sick day. In fact, Brian and I both are just now getting over colds, and it is not fun! 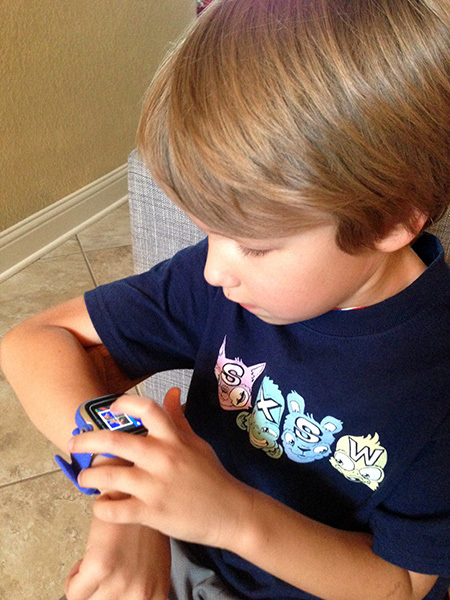 We had just received our gift pack from Advil® and it couldn’t have been better timing. Advil® Sinus Congestion & Pain provides fast, powerful relief for a number of severe cold, flu, and sinus symptoms, and it’s a lifesaver to have on hand when you’re sick. Advil® Sinus Congestion & Pain is the only over-the-counter cold and sinus medicine that combines the speed and strength of Advil® with a proven nasal decongestant for fast, effective relief of severe cold symptoms including sinus pressure and headache. It contains Phenylephrine, a nasal decongestant which reduces swelling and allows the nasal and sinus airways to expand to their natural state for easier breathing, and ibuprofen, a non-steroidal anti-inflammatory drug (NSAID) that has been repeatedly proven to reduce pain safely and effectively when taken as directed. Here’s me giving it a try! And guess what? 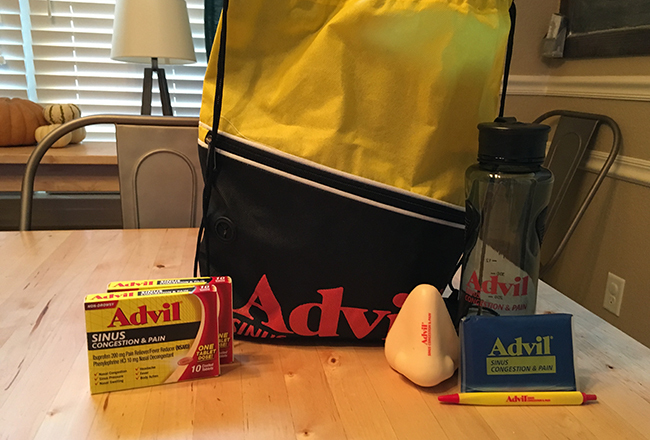 You have another opportunity to win – an Advil® gift pack just like in the photo above, which will include a $25 gift card! I chose Park City Utah. For my sickest day ever I would choose San Juan, Puerto Rico. I would pick the grand canyon! I would pick San Juan, Puerto Rico. I would pick San Juan, Puerto Rico for my Sickest Day Ever. I have always wanted to visit. I would definitely choose the Grand Canyon in Arizona. I would pick Grand Canyon!! I would go to San Juan. The beach makes everyone feel better. My choice would be Grand Canyon, Arizona. I’d pick San Juan, Puerto Rico. I would pick San Juan, Puerto Rico to go to.